Have you ever heard it’s much easier to keep trash picked up and throw away when you have a waste basket in every room? I so believe this and i also love having one right by my bed (especially when I’m sick and going throw a lot of tissues. 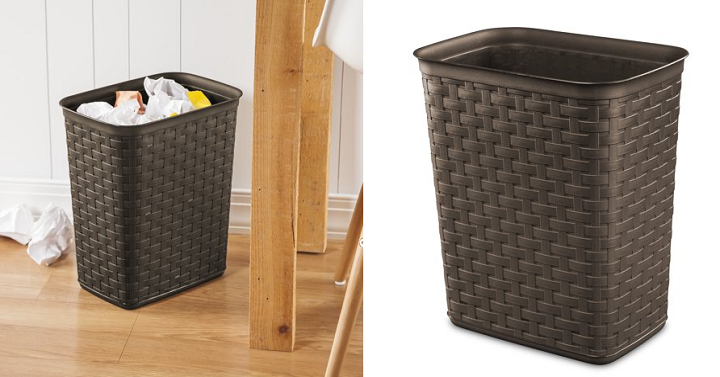 Right now Walmart has their Sterilite 3.4 Gal Weave Wastebasket in Espresso 6 pack for just $12.31! That’s only $2.05 each!